>> Click here for a version in black & white for kids to color. We have prepared a handout of this poem that you can download and print. 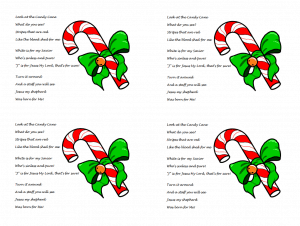 Each page is divided into four parts and includes the poem alongside a simple graphic of a candy cane. 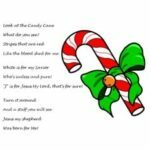 Click here to download the Candy Cane Poem. More Christmas Ideas? Browse our Christmas lessons, Christmas crafts, or most popular Christmas printables. New for Christmas 2010, Mandy is creating free Advent coloring pages. 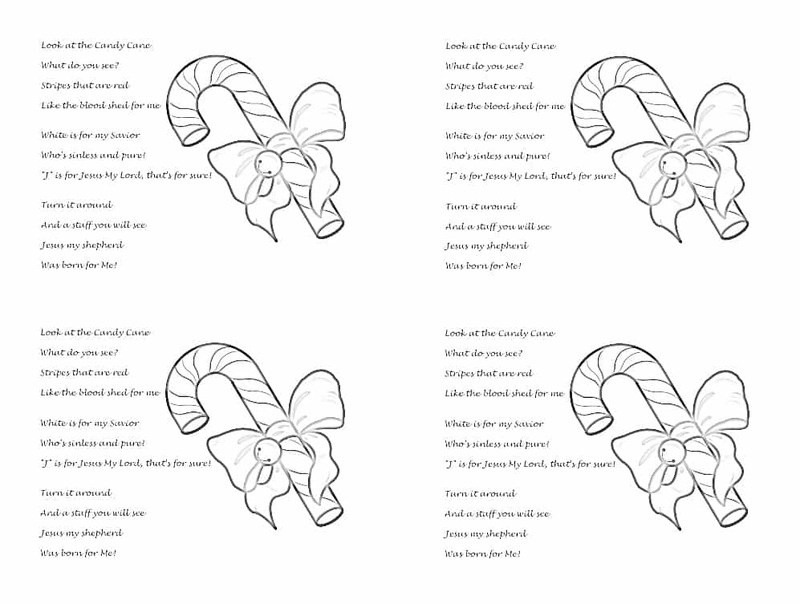 Each page will have a different coloring sheet to help children think about the meaning of Christmas. When all put together, kids will have a Gospel-centered art project in to celebrate the season.